When I first moved to Manhattan, acting with a capital A was all I wanted to involve myself in. Sure, I needed a survival job, but beyond that I was going to immerse myself in theatre, scene classes and as many screen auditions as I could lay my hot little hands on. Fair reader, you probably would not have been so naïve and boy, did I miss a trick during that first year. Because as it turns out, one of the best ways to engage in the acting and creative industries in NYC is through the world of Commercials and Voiceover. Thanks to the large number of advertising agencies and global headquarters of multinational companies based in New York, as well as the wealth of recording studios and Television & Radio stations located here, the city is arguable the VO capital of the country, quite possibly the world. 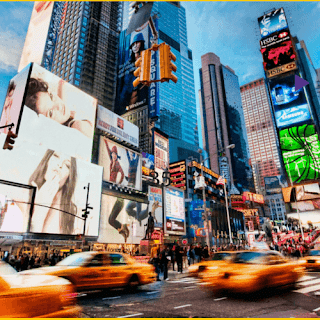 Though commercials comprise only about 5% of the voice over work in the industry, New York offers a disproportionate share, and every day there is also more work on offer for audiobooks, narration and animation/ video games. 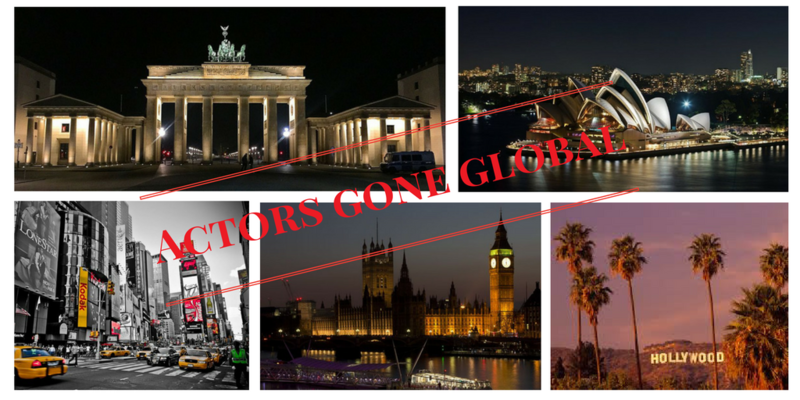 Clients from all around the U.S. and the world hold casting calls here, and there's a huge amount of both union and non-union work available. I might have expected my odds at being pulled in for a VO with a major British oil company for ads running in the UK to be higher if I still lived in London, but nope - this only happened because I'm now based here, where the advertising agency and client also is. I am not alone - I've heard the same happen to native Spanish, German and French actors and VO artists living in the city. And wouldn’t you know it? Agents are clambering to represent actors who can readily be submitted for Voiceovers thanks to their ability to naturally embody 'real people.' Indeed much of an agent's bread & butter income can come from the VO jobs. While this might not be the easiest industry to break into, it can offer enormous opportunities as well as a significant source of income. Do I have a voice which can book jobs? The answer is almost certainly yes. Simply because you have a unique voice, and if you're an actor who understands storytelling and forming a natural, authentic connection, you will be in demand! Sure there are people who time and again get told 'You have a great voice, you should do Voiceovers' but that alone only doesn't cut it anymore - what advertisers are increasingly looking for are 'real actors' with 'natural' voices which ‘don’t sound commercial’ or 'sales-y'. These are actual quotes from many of the breakdowns I see. So the key instead is to embrace all the qualities that make your voice uniquely yours and learn how to flex and tailor it to your advantage. Versatility is not where it's at anymore - in days of yore VO artists were expected to run the gamut of accents and vocal range, but now because every nationality and age range can easily be sourced, particularly in a city like New York, you are far more likely to book a VO job for being YOU. Learn to enjoy and play with the given voice you have! Get into class. I recommend this for all the reasons actors should take any class - an opportunity to practice material, be that commercial copy, radio scripts, video game characters, etc., and learn from a range of other talents and experience. Is your voice naturally husky, raspy, high pitched, directive, energetic or seductive? All these are great things to discover and as you hit a groove with your own voice, you'll have fun with exploring your natural range. The majority of classes are also taught by VO casting directors and assistants who are constantly working on projects and who are actively seeking to bring in new talent, regardless of experience level. To begin, I'd recommend checking out classes run by Shut Up and Talk, Edge Studio as well as CDs John McKinney at Pomann Sound and Andy Roth who runs workshops all around the city. Added bonus: many classes end with some kind of showcase to agents who are also actively looking to represent new talent. Do I really need an agent? Yes and no - and it's largely dependent on the type of work you're looking to do. If you're just getting started there are plenty of ways to book work without an agent - particularly non union work - often featured on Backstage, Casting Networks and Actors Access, and by uploading examples of your work directly to online submission sites like https://www.ahab.us. You can gain experience and professional recordings from doing industrials, low budget animation and narration work by submitting directly to companies who are also often choosing to bypass traditional casting director or Agency models and saving on those fees. The downside may be that you're left with the hassle of agreeing your own contract and rates. If you're keen on doing Union work (or indeed already bound to those ties) then working with an agency may be beneficial as they're far more likely to have access to those higher earning gigs. All the usual rules apply: submitting smartly, forging introductions through trusted industry colleagues and meeting agents at regular showcase opportunities. And remember to keep cultivating your relationships with Casting directors. As with screen and theatre jobs, having an agent can get you that bit closer to a submission but CDs also need to know who you are in order to add you to their audition list. Consider freelancing with a number of agents to begin with, as each will have a slightly different mix of projects they can offer you. Listen and Learn The best way to find out what's going on in the world of voiceover and who is booking is literally to listen to all the ways the recorded voice is used in everyday life, and investigate why a voice was chosen to match that specific product or service. Once you start listening out for them you'll be surprised at how much VO there is all around - not just in traditional commercials, radio promos and animation, but things like museum audio tours, subway announcements, directions for products in a pop-up store, workout videos, YouTube how-tos, etc. etc. YouTube is also a brilliant way to watch all kinds of spots, and if you're keen on commercials specifically then www.ispot.tv is a fantastic resource for categorized and archived footage. The point to all this, as you attend classes and start learning about what your voice can do, is to have fun with all kinds of material and discover what VO work you're most passionate about. Studio Auditions When you're invited to a VO casting you'll often be called in the next or same day, so stay nimble and relaxed as much as possible. You may be meeting a casting director at a place like Endeavor Studios downtown or Hyperbolic Studios in midtown who regularly hold VO castings, or you may be popping into your agency's office to lay down a recording with their professional set up. Either way it's unlikely that you'll receive the copy or script ahead of time, so try and get there a bit early, take the copy away with you for the time you need to get comfortable with the script and your choices, and only then come back to sign your name in to the log. Submitting MP3s from home - do I need a home studio? 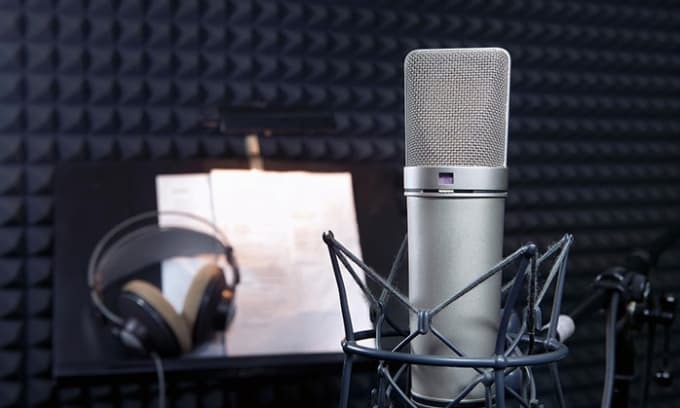 More and more frequently you'll be requested to submit an MP3 recording for an audition, especially for non-union work, and often it can be required within hours. Don't let this intimidate you - you don’t need much to get started and many working VO artists I know regular record their auditions on the fly using - what else? - their smart phone. 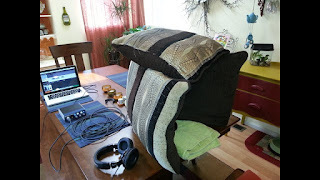 A key consideration however is how you make the recording - you want as much sound- proofing as possible to drown out ambient noise and to highlight the nuances in your voice. One of my most successful VO colleagues began her career by recording MP3s under a suspended fort of towels and pillows! After her first few bookings she added a fancy mike and began recording in her miniscule Manhattan closet... certainly I'd suggest starting lightly and adding as you grow your business. If you do want to start adding a few bells and whistles, home set-ups don’t need to break the bank. Simple microphones to try are the Audio Technica 2020 Plus - a simple USB mic that you can plug straight into a computer without an extra interface - and the Apogee Professional Quality mic. For software I still swear by Audacity which costs nada and does everything you need for a home MP3 recording. In time you may wish to add a foldable, portable sound absorbing, vocal recording panel for confident sound-proofing. What about a Voice reel? Well, yes – it helps to start collecting professionally-recorded material as soon as you have it. It can become your calling card to attract a quality agent, who in turn may use your reel to start submitting for projects without requiring an audition. 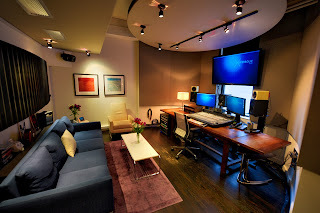 It's very possible to book things like Demos, Industrials and Audiobooks from the strength of a Voiceover reel alone. So begin collecting your work as soon as you have it, and if you're not keen to wait there are places who will record professionally-sounding reels for you. Do your research and connect with other VO actors who have used Demo Reel services, listen to the work and research which reels sound authentic and have attracted more work as a result. Engage with passion - and patience! It can feel disheartening to break into this industry as it's often seen as somewhat of a closed shop - particularly on the better-paid, Union side of things. Don't get discouraged. After 18 months of working with a top VO agent and regular submitting for British and German VOs with no gig to show for it, I nervously put a call in about 'what else I should be doing to book work?' Cue empathetic understanding that "This is a real numbers game - for everyone" and it's all about staying in it to win it. Reminding myself of this every time I submitted was empowering - it made it easier to detach from any specific outcome and I treated myself as a working professional in - and in turn the jobs did start to come. So keep doing and practicing the things that bring you joy, connect with other working artists and educate yourself about the business as you navigate it. Don't feel disheartened if it all takes longer than you anticipated - your quality and consistency will pay off. Keep finding the joy and energy within each audition and submission, and then let go of the outcome. 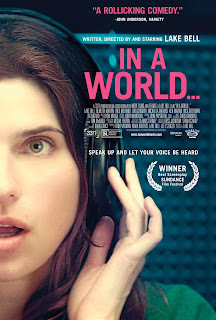 Watch "In A World.." For some well-deserved time out from all the work, I highly recommend this gem - a quirky and funny look into the Voiceover business from writer/director Lake Bell. VO gigs don't get more cut throat than this! "Speak up and Let Your Voice be Heard"
I'm always curious to know what your experience has been in navigating the world of Voiceovers - in NY and around the globe. I invite you to drop me some comments and share with the AGG community any additional tips and feedback you have!